The teenagers mainly wearing jeans. 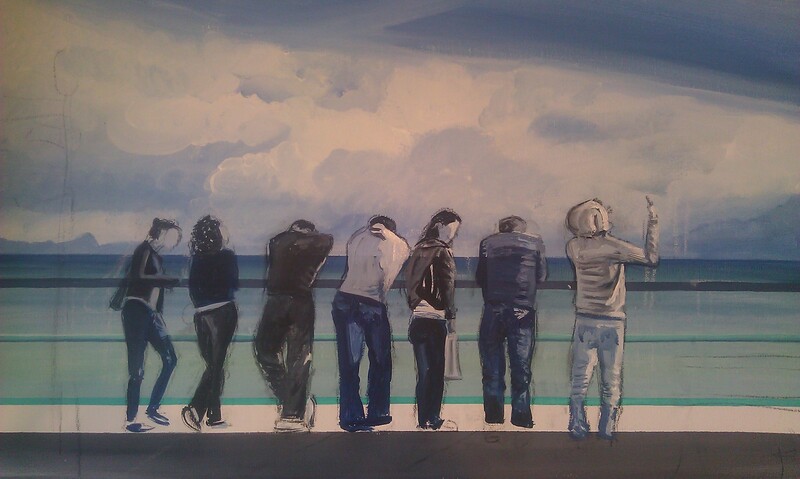 Pleased to have got this far into a painting in an afternoon. This entry was posted in Art, Painting and tagged clouds, hoodies, jeans, sea, sky, teenagers. Bookmark the permalink. Nice. That is a lot to get done in one sitting.